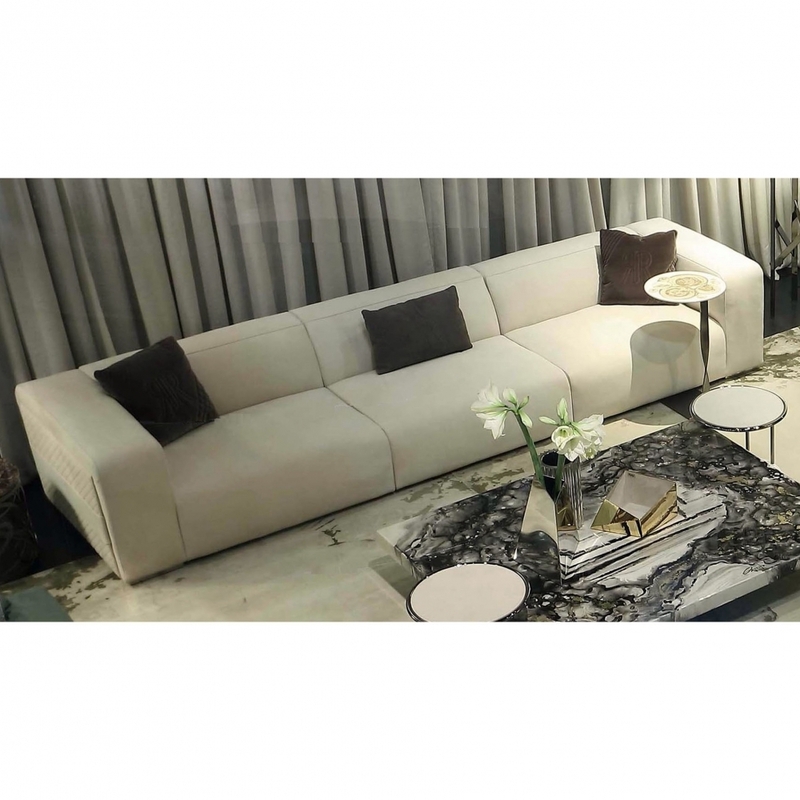 With a refined shape and contemporary style, the Freud Sofa is hand-crafted by skilled artisans in the heart of Italy. Upholstered in the finest Pelle leathers and Tessuto fabric, each sofa is finished with the utmost care and attention to detail. This designer sofa by Rugiano interiors is available in a wide variety of bespoke combinations to suit the size and scale of your space. Create a corner sofa design or add a glamorous chaise longue, Freud effortlessly combines versatility with designer style. Pair with the Elle Cushions and a faux fur throw to finish the look. Samples are available upon request. Get in touch with our team for more information and advice.